chef’s table | What Next? I have been enjoying a Netflix series called Chef’s Table. 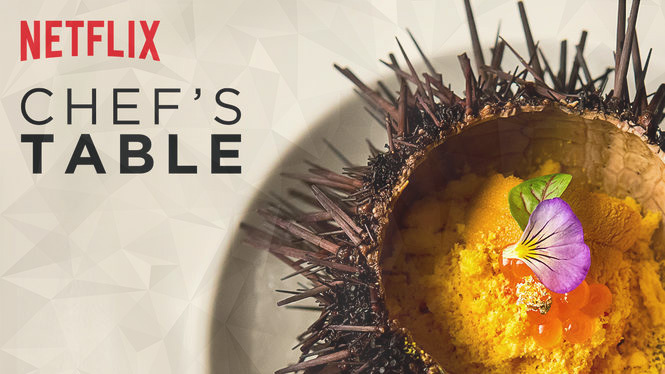 Each show follows the culinary adventures of one of the world’s great chefs. But……… you not only see them creating all this amazing food, you also learn their life story. To me that is every bit as fascinating as their skill in the kitchen. Every time I’ve watched Chef’s Table there’s been a moment in the episode that has brought me to tears. I just saw the story about Michelin Three Star chef Dominique Crenn. 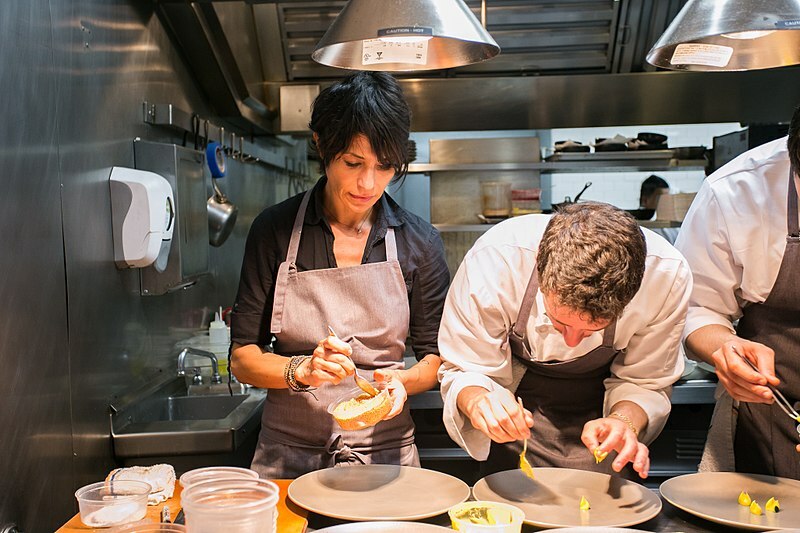 A meal at Dominque’s restaurant in San Francisco is a very personal experience. She likes to greet her guests, shake hands with them and talk with them. She writes poetry and when you enter her restaurant you will receive a printed poem instead of a menu. Different lines in the poem refer to dishes you will eat that night. Her restaurant is called Atelier Crenn and pays tribute to Dominque’s late father Allain Crenn who was an artist. His paintings decorate her restaurant. ‘Atelier’ means workshop and Dominque’s father had an artist’s workshop or studio in the house where Dominique grew up. She named the restaurant to honor her father who loved her dearly and told her she could be anything she wanted to be! During the episode of Chef’s Table featuring Dominique, she goes back to her childhood home in France to see her father’s old studio/workshop and visit her father’s grave. At that point both Dominique and I were in tears. Then there was the episode about Mashama Bailey an award winning black chef who operates a restaurant in Savannah called Grey in an old bus station from Jim Crow times when black and white travelers had to wait for the bus in separate areas of the station, use separate washrooms and drink from different fountains. Reminders of those days of shameful segregation deliberately remain in the decor of the restaurant where Mashama serves southern comfort food. 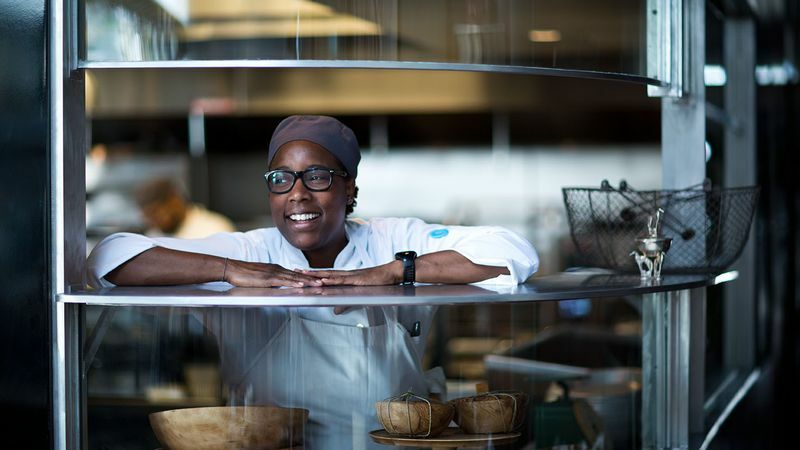 There is a scene in the Chef’s Table episode about Mashama where her parents tell her how proud they are of her and how proud her grandmothers would be to know their granddaughter was reclaiming the history of that bus station with her restaurant where people of every race and culture can enjoy soul food together. You could tell how moved Mashama was at her parents’ praise and I was ……. in tears. I haven’t been a big fan of cooking shows in the past but Chef’s Table is different. In each episode you see an incredible artist creating sumptous and gorgeous food but…….. you also learn that their talent and drive is inspired by some very deeply personal experiences that are bound to make you cry.